I’ve been doing a lot of speaking at conferences this spring, and I’m always warmly greeted as the “Toast Guy”: the person who produced and starred in the Toast Kaizen video. Earlier this year, I spoke to a large gathering from a metropolitan healthcare system. When I jokingly asked them “Who has seen Toast Kaizen?” this was their response. Of course, I’m flattered to be recognized and happy to hear how Toast has helped to introduce continuous improvement in many settings and now in eighteen different languages! But my head has not grown too much. 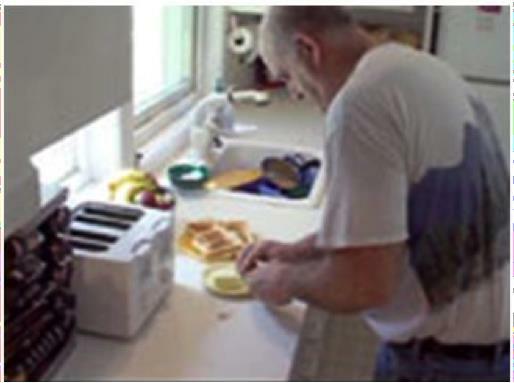 After all, it’s a thirty-minute video about a ‘guy making toast’; a device intended to unfreeze people’s thinking. It’s not exactly what you’d call a body of work. I’m proud to say it’s a good opener – no more than that. I often joke that GBMP’s video’s are made for people with short attention spans, but I worry sometimes that may be all too true. We try to provide some inspiration through our medium, but we are limited in the amount of information that can be conveyed. At some point Lean learners need to progress to deeper study. I always recommend the works by Shigeo Shingo and Taiichi Ohno because they are timeless and because they are multi-dimensional, describing the Toyota Production System in both technical and social terms. And they are primary sources from the creators of what we call Lean today. It’s troubling to me that these comprehensive sources of enlightenment have become almost obscure. I offer the same homework to O.L.D. readers. There are a gazillion latter day lean dudes like me who may have a bit to say, but if you haven’t studied Shingo’s books, you have a big opportunity ahead of you. And a little reminder: Friday May 31st is the last day to take advantage of discounted early registration pricing for the Northeast Shingo Prize Conference, a regional version of the larger event I attended earlier in Utah. This one is in Hyannis, on Cape Cod, Massachusetts in late September. The theme is “True North: Set the Course, Make Waves”. Learn much more about it here. I hope to see you there. This entry was posted in Old Lean Dude and tagged lean in healthcare, lean manufacturing, Non-stock production, shigeo shingo, shingo prize conference, Taiichi Ohno, Toast Kaizen on May 30, 2013 by GBMP. Good post. I just ordered the NS Production book. I use the Toast Video with almost every Lean assessment we conduct, and have people tell me 2-3 years later the continuous improvement concepts stuck with them. What is the “missing operation” referred to in the 2nd half of the toast video?